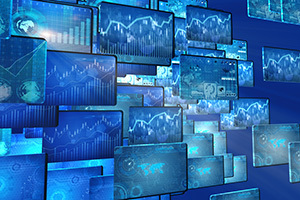 The availability of analytics products for higher education is on the rise, and the applications tend to fall into two broad camps: learning analytics, designed to be used by instructional staff to examine data tied to student engagement and academic outcomes; and operational analytics, for use by administrators to explore operational and financial areas, such as admission, enrollment and retention. That's how a new report from Eduventures classifies the more than two dozen offerings it has identified in the current analytics marketplace. According to "Deep Dive: Analytics Market Overview," solutions that enable colleges and universities to understand their current situations and how best to move forward range from tools that address just a single segment of the "student lifecycle," such as learning or enrollment, to those that address broader enterprise needs, like constituent relationship management systems (CRM) or enterprise resource planning (ERP). Sorting out all the options involves figuring out whether the school is better off opting for an "enterprise" solution that pulls data from multiple campus sources, or a "domain-specific" solution that pulls from a limited number data sources. On top of that is choosing between "bundled" offerings that do data storage and analysis or "standalone" ones that tap into a specific set of data. The research firm produced the overview to help its institutional subscribers understand what's involved in selecting an analytics product. The report also evaluates the strengths and weaknesses specifically of domain-specific, standalone offerings from Acrobatiq, Blackboard, Civitas Learning, HelioCampus, Intellify and Jenzabar. For each, the report examines each program's maintainability, privacy and security, suitability, data analysis, data visualization and data alerting features. Choosing the right analytics product "is not without challenges," said James Wiley, principal technology analyst, in a prepared statement. "By evaluating the strengths and weaknesses of leading analytics offerings, this report will help institutions better understand the current market and supply a framework to determine best fit within your institution." The report is available to Eduventures subscribers.